In recent days a new genetic project has been announced to collect and sequence the DNA of orcas living in the Pacific Northwest to try to save them from extinction, which at this point is a serious risk. The project is a collaboration between NOAA’s Northwest Fisheries Science Center, the non-profit organization Nature Conservancy and the BGI genomics company. Skin or other biological samples of more than one hundred specimens that have been collected over more than two decades will be used to obtain DNA. Orcas (orcinus orca) population of that area of ​​the Pacific Ocean is now reduced to only 74 specimens after a young orca died last month despite an operation to try to save it. This is the minimum number in over 30 years and for the past three years no new births have been discovered, a cause for concern for their future. Ocean ecosystems are generally under stress due to various forms of pollution and overfishing, but in some areas there are species that are suffering more than others and more than in other areas. Orcas are widespread in all the oceans and seas of the world but the situation of their populations varies a lot and the data are still limited, one of the problems to be solved to try to assess the possible causes of the decline of some of them. There’s also the possibility that actually orcas diversified into separate species and this should be verified with a research at global level. A few days ago, an article published in the journal “Science” described a research on the presence of polychlorinated biphenyls (PCBs) in the seas despite the fact that they were banned years ago. These compounds can negatively affect orcas’ immune system and the reproductive, so much so that half of the world’s populations could be at risk within a few decades. 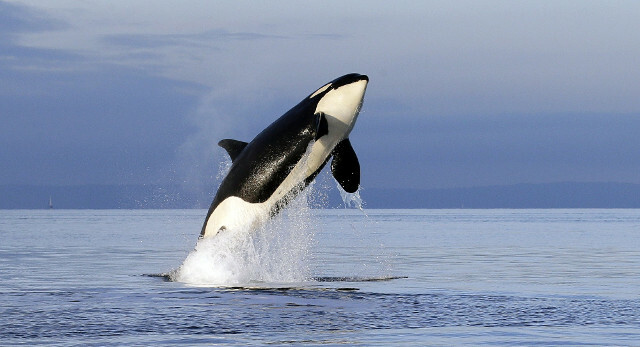 These conclusions came after an examination of the presence of PCBs in 351 orcas around the world revealed that in some individuals they were found in an amount even 25 times greater than what’s enough to alter their fertility. In the case of the Pacific Northwest orcas, the University of Washington coordinated a study that revealed that between 2007 and 2014 two-thirds of pregnancies among them were unsuccessful. The problems were attributed to a food stress linked in particular to the scarcity of salmon, another species affected in recent years, in this case especially by fishing. The study was described in an article published in the journal “Fish and Fisheries” in February 2018. A genetic research can help to assess how much food problems and pollution on pregnancy weigh, because it will allow to understand if there are any other difficulties linked to these orcas’ DNA. One of the possibilities taken into consideration is that the reduced population of orcas is now formed by blood relatives and that consequently there are genetic defects that make their progeny’s survival more difficult. NOAA (National Oceanic and Atmospheric Administration) had already started addressing the problem through its Northwest Fisheries Science Center with a study described in an article published in the journal “Animal Conservation” in April 2018. Again, salmon was mentioned among the problems for that community of orcas. The new genetic project announced in recent days will further develop the studies carried out in a new expanded effort. The discoveries will enable to help the Pacific Northwest’s orcas, but will be useful to understand in general what environmental problems exist in that area with the hope of finding useful solutions to improve the situation of the whole ecosystem.